While owning a home is a historical part of the American Dream, it also holds another valuable place in our society — boosting the economy. As the nation seeks to maintain its growth and rise from the recession of 2008, homeownership not only indicates progress, it helps to support it. 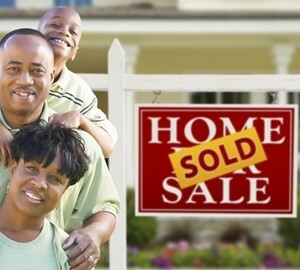 Homeowners bring a lot to their local economy. They support a variety of local businesses through general home needs, such as pest control or plumbing, and they help deliver support to the financial industry directly through loans. According to the Sacramento Bee, this movement is being held back by a single thought, that homeownership "isn't worth it." "Somewhere, somehow over the last six years, too many decision-makers have come to believe homeownership isn't important," the source reported. "Their inability to create a clear path forward in the mortgage finance arena has led to uncertainty and restricted credit for qualified homebuyers. This has hurt not only families, but the nation as a whole." Owning a home is an investment. Caring for that property, making improvements on it and supporting the surrounding community will help that house grow in value, and eventually it will be passed on or sold, building a legacy for the family. This, in turn, helps to support the family's economic structure, which is the building block of the national economy. And while there are personal and public social benefits to homeownership as well, the simple truth is that by encouraging and supporting first time buyers, we are able to make the nation a stronger place overall. If you're thinking about looking at Sacramento homes for sale, contact me, top real estate broker Jon Hesse. With more than $100 million in completed transactions and a decade working in the local market, I have the experience necessary to help you buy your dream home at the best possible price.